Are you going to a wedding? Trying to find a special or unique gift for the bride and groom? Remember the list can only contain items that are available to buy from that particular store and is not exclusive. Giving an original gift that does not appear on the wedding list demonstrates careful thought and is often a welcome surprise. If you can't find anything you want to buy on the wedding list, look elsewhere. This is particularly the case if you are a close friend or relative, or a latecomer who has looked at the list only to see the best items have already gone. It is possible that some items on the list have been added as an afterthought to boost the choice of gifts and although wanted, are not 'preferred items'. A symbolic, decorative item that acts as a reminder of their special day. Wedding boxes are relatively inexpensive to produce and make personal and thoughful gifts. A practical present for the home that will remind them of their wedding when they use it. A gift experience for the bride and groom to enjoy. For example, vouchers for their honeymoon or theatre tickets. Although a temporary experience, the memories will last a lifetime. Arctic Fashion has some great unique and eco-friendly wedding present ideas - scroll down for more information. 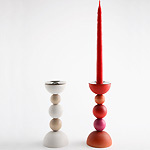 This beautifully crafted candlestick makes a wonderful wedding present - ideal for romantic candlelit meals for two. Made from sustainable wood from Finland, the unique Scandinavian design is both durable and eco-friendly. It comes in white and mixed red and two heights - 160mm and 195mm. 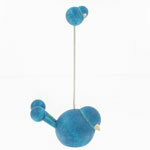 An elegant and eco-friendly tealight candle holder by Scandinavian designers Aarikka. Available in white or red, this wooden candle holder will make a chic addition to their home - whether they live in a modern flat or a period house. Perfect for those who like fuss-free, minimalist style. 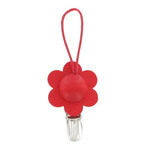 Fun and practical, these Finnish design towel clips make a great addition to the home. Kukka towel clips are lightweight, durable and made from sustainable Finnish wood. Give a truly original wedding present. 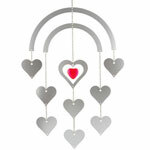 An elegant and romantic aluminium hanging mobile with heart shaped design. A lovely wedding gift to celebrate their union! Wedding presents don't have to be expensive to be something that the newlyweds will cherish. 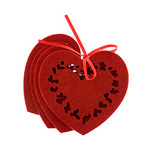 These heart shaped felt coasters are bright, fun and great value. For the couple who has everything, why not consider a colourful kitchen utensil? From potato testers to toothpick holders and fridge magnets, you sure to find something practical and fun for the newlyweds.